I am embarking on a No Spend Challenge this summer. If there’s one thing I’ve learned about frugality, it’s this: it is far, FAR easier to curb one’s spending if one has a strong, powerful goal. Frugality for its own sake isn’t sustainable for most. But it can become an exercise in creativity (which makes it fun!) when you’re making progress towards a dream. This summer my husband and I are saving a down payment for a house. Neither one of us has ever purchased a home, so it’s a bit scary. But it’s the right move for us, and it’s time. Which also makes it the right time for a No Spend Challenge. I’ve done “No Spend” challenges before. Sometimes they’ve lasted a week, sometimes a month, sometimes for a longer season (for instance when I got out of debt the first time and helped my husband do the same). You can make your own rules with a No Spend Challenge. Obviously, one cannot stop spending money altogether (unless, for example, you live entirely off the grid and have a large garden, bulk foods in storage and farm animals to kill for food. That is definitely not me!). Truly needful clothing items for the kids. I don’t need anything and I already bought the clothes the kids needed for summer, but if someone needs socks or undies or if their shoes blow a gasket, I’m their gal. Bills – rent, utilities, etc. Duh. Fun/entertainment for the kids. We’re not going to make them live an ascetic life, y’all. So every other weekend, we take them to do something pricey, but we still have lots of frugal fun too. Still, with a little creativity, one can keep the kiddos happy and save a lot of money. See: the ice cream truck. Subscribed to several deal bloggers. SouthernSavers posts deals and coupons relevant to my area. PassionatePennyPincher and MoneySavingMom are two others. When I DO need to buy shampoo, I’ll know how to match up sales + coupons to get those items nearly free, something I used to do several years ago before I found ALDI. I bought a cheaper Keeper. I know, that’s technically spending. But I paid $10 for it which is about what I would pay in 2 months of utilizing the alternatives. I’ve been thinking of doing this for years and wish I had sprung for it ages ago. The benefit is that now, there are several “generic” menstrual cups available. (Did I just type that? I guess I did.) Which means the prices dropped considerably. Price being my main objection to the DivaCup, Keeper and others – which is silly, considering they’re an investment that would end up being far cheaper in the long run. An example of how scarcity makes you stupid. I ordered both The Tightwad Gazette 2 and The Tightwad Gazette 3 from PaperBackSwap (FREE!) to refresh my memory about its principles. I love Amy D and her books, some of my favorite books on radical frugality. Bought (free, I had a gift certificate I earned from doing a survey) How to Eat on a Dollar a Day . This book was written in 1975, but the principles are evergreen. Frugality requires a lot of willpower, and keeping oneself inspired and pumped is important. Ordered a huge box of diapers. After some research, I discovered that it is indeed cheapest to obtain your diapers in bulk from Amazon combining the Amazon mom program + Subscribe & Save. In the upcoming weeks, I’ll be sharing some of my experiences on this radical frugality journey. I hope you stick around! And I’ll be coming back around to this page as a home base and linking to the other posts I write about the No Spend Summer. Here’s a No Spend Pinterest board for ideas and motivation. A few book reviews for those who want to achieve black-belt tightwaddery. High water bills, spoiling sick kids, using things up, budget meeting and hubby gets chintzy, a health insurance win, and our savings hits $4,000! 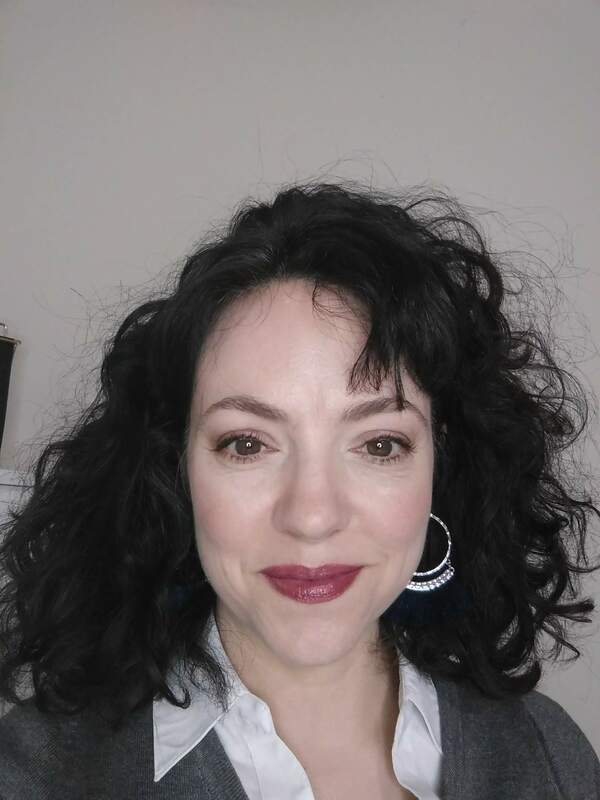 almost-free hair stuff and mascara, splurging on a cheap meal out. 8) Are deal sites and money saving apps “worth it”? Stress makes us spend money, and other wins and fails. … it doesn’t work, for one! 17) I went to IKEA. I spent money. … in the interest of full disclosure. Also, I got all our school supplies for $8. 18) Savings update: halfway there! 19) Mark that laundry detergent measuring cup, yo. … it’s what you do. It’s also what you don’t do. Great ideas here. 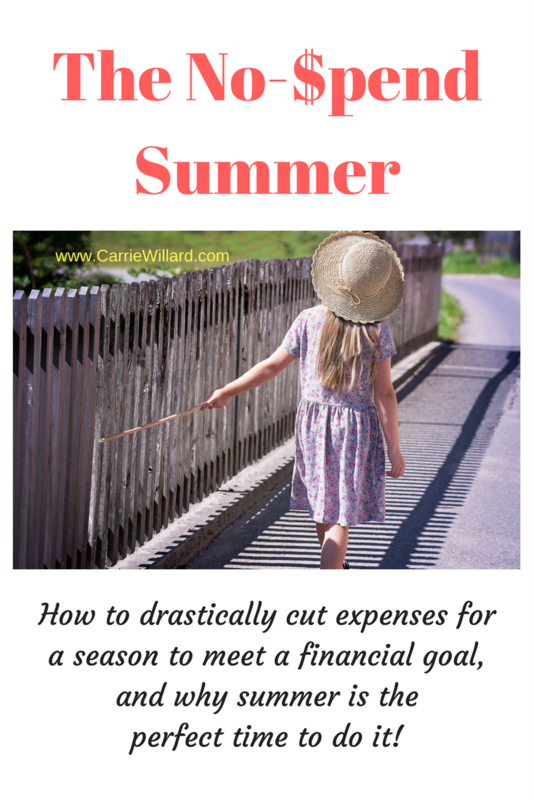 I’m a huge fan of living simply and frugally, and love the idea of a no spend summer. I’ve also just invested in a menstrual cup (and also can’t believe I just wrote the words menstrual cup – didn’t even know what one was a year ago). But better for health, the environment and your budget. Can’t beat that! Found you via the Solo Smarts 30 day challenge. Great to connect with you. @Isabel: hope we have the same experience 🙂 I’ve done a lot of reading on renting vs buying, and for us now, buying is the winner. I’m scared about it because it’s a new thing for us, but I’m sure we’ll be fine. Thanks for commenting! @Karen: likewise! Thanks for stopping by.